As the days tick down towards closure of the transfer window, millions of pounds worth of soccer talent is sitting idle in a series of high-stake standoffs. Southampton's Virgil van Dijk, Chelsea's Diego Costa and Swansea City's Gylfi Sigurdsson all failed to turn out for their contracted employer on the opening day of the English Premier League season and hope to trade up before August 31. 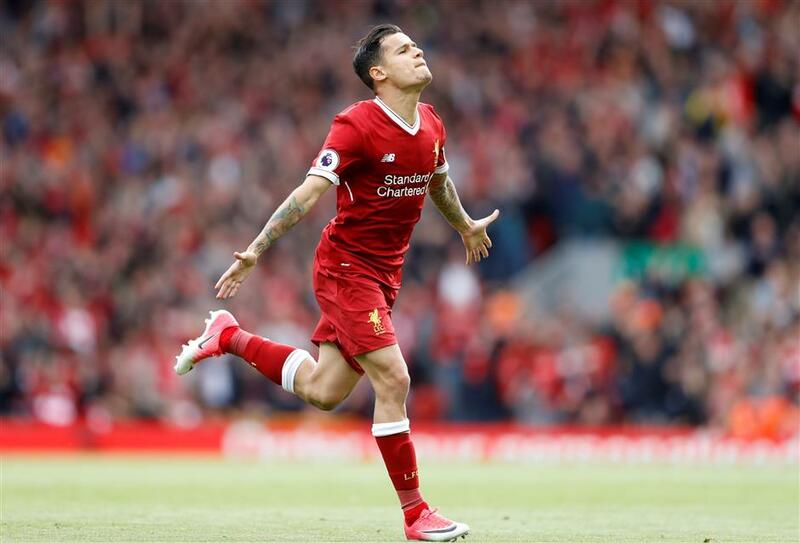 Meanwhile, Liverpool's Philippe Coutinho is sidelined with what the club said was a back injury after handing in a transfer request intended to force a move to Barcelona against the Reds' wishes. All four players are under contract, the golden handcuffs traditionally used to tie them to their clubs. But the modern footballer is challenging such restraints, a trend the transfer window, with its artificial timeframe, exacerbates. Earlier this year Dimitri Payet forced a move after refusing to play for West Ham United in the last window. The club eventually reluctantly sold him to to Olympique Marseille. Costa, who is in Brazil rather than with his Chelsea teammates, is adopting a similar strategy. In a newspaper interview on Monday, the striker threatened to sit out, unpaid if necessary, the remaining two years on his contract if Chelsea does not allow him to move. Costa's legal representative has reportedly threatened action citing possible discrimination, although one British sports contract expert doubted if such an action would succeed. "For a repudiation breach (of contract) Chelsea would have had to stop paying his wages, singled him out or bullied him. They won't make that sort of bad move," Richard Cramer of FrontRow Legal said. "But they might still sell him because a manager does not want a disillusioned player, so player power is very strong." Discontent is not restricted to specific clubs. Like Coutinho, Van Dijk has also handed in a transfer request and was left out of Southampton's opening day EPL game with Swansea City, which also omitted Sigurdsson, its star midfielder of last year, as talks continue over a possible move to Everton. Such situations are nothing new in football. Back in 1961, one of England's greatest players, Stanley Matthews, was told by Blackpool "you forget, as a player, we made you" when he agitated for a move that would double his wages to Stoke City, while West Ham stopped Bobby Moore from moving to Tottenham Hotspur within months of his captaining England to its 1966 World Cup win. However, players downing tools, like Payet and Costa, is a more modern phenomenon linked to Fifa's introduction of the harmonized transfer window in the 2002-03 season. Before then, players could switch clubs in England at any time until March each year, a cut-off point intended to safeguard competition at the business end of the season. Ironically, the change was introduced as part of a compromise agreement with the European Commission to enhance contractual stability, but increasingly the reverse seems the case, with both Coutinho and Van Dijk now seeking moves within months of agreeing multi-year contract extensions. Liverpool's Steve Gerrard is among those believing that, in Coutinho's case, a red line may have been crossed. "This is a huge test for the club from top to bottom. He has just signed a five-year deal, The least he can do is give them another year," he told BT Sport. The problem, Gerrard admits, is that even if Coutinho agrees such a compromise, there is no guarantee Barcelona will return next year. "Barcelona will have been saying to his representatives 'it's now or never'." Many observers believe the window should close before the season starts, a suggestion the EPL is happy to lobby for. "The problem is we operate in a European, and often a global market, so while they might be happy that the window closed in England they would be less happy to see their Spanish, German or Italian rivals continue to trade," a spokesman said. The League has offered to raise the issue with the European Club Association and European Professional Football League, but change appears unlikely and so the unseemly conflict between players and clubs looks set to continue until the window slams shut, probably with a huge sense of relief all round. The Professional Footballers' Association declined a request for an interview.